Lorenzo Salvatori, who goes by the stage name Irol, is well known within San Marino as the winner of the first series of the talent contest "I talent dei castelli" and he was also the spokesperson for San Marino at the 61st edition of the Eurovision Song Contest in 2017. Born in San Marino, he started rapping at age 14, immediately participating in Italian freestyle events. In 2010 he released his first EP released in 2010 "Lost in time" for the independent label Big Things Music, and in 2013 he recorded his first album "Mental state". 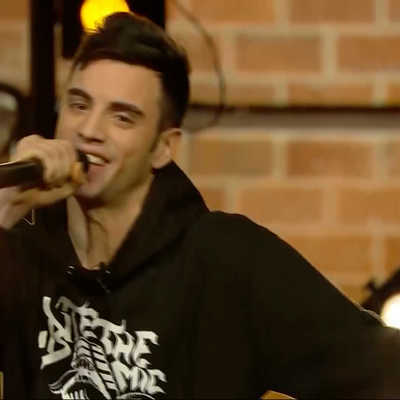 In 2013 Irol also participated in the MTV spit program, which is dedicated to freestyle. In 2015 he recorded his second EP "Distances" and also collaborated with the hip-hop music collective K-Rimini United Artists . He also shared the stage with Eron, a well-known Rimini writer active on the scene since the late eighties.